When I adopted a calico kitten, Pookie, almost five years ago, I didn’t think twice about the fact that she is female. I wanted to get a female cat, and Pookie was adorable and fit with my personality, so that was that. As I began to talk to fellow calico owners, I noticed that every single one of their calico cats was also female. This was surprising to me – was there really no such thing as a male calico cat? 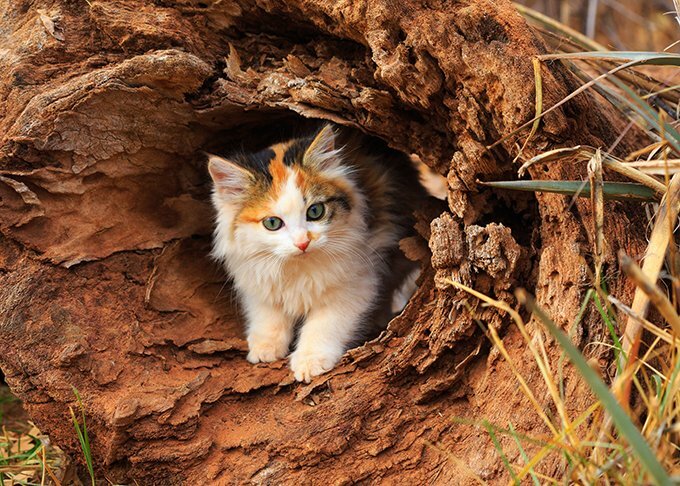 According to the Humane Society, only one in about three thousand calico cats is male. To start this investigation, it is important to point out that calico is a color pattern of a cat, not a breed. This eliminates a breed specific reason for a female majority of calicos. In fact, any breed of cat can be born with calico fur, although it is rarer for purebreds like say, Russian Blues. In order for a cat to be considered “calico,” three colors must be present in the coat: white, black, and orange. There is room for variation in color, with cream, grays, and ginger. 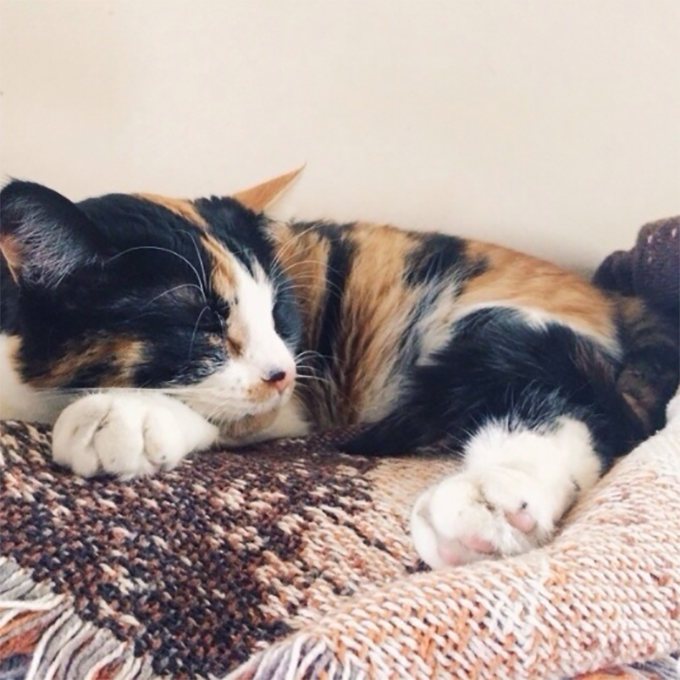 What gives a calico cat this beautiful fur pattern? The answer lies within the cat’s chromosomes. Just like with humans, female cats have two X-chromosomes, one from the mother and one from the father, while male cats have an X-chromosome (from the mother) and a Y-chromosome (from the father). In short, female cats have 2 X-chromosomes and male cats have 1 X-chromosome and 1 Y-chromosome. These random deactivations create either a tortoise shell pattern or calico pattern for the cat’s fur. White fur is determined with a separate gene and may speckle throughout the coat. Since white fur is not dictated by chromosomes, this is why you can see male cats with duo-colored coats, such as a tuxedo cat, but not a calico. Given that a cat needs two X-chromosomes in order to have a calico coat, how can one out of three thousand calico cats be male? A male cat can have tri-colored fur if he inherits an extra X-chromosome, making his genetic makeup XXY as opposed to XY. This cat is almost always male, despite the extra X-chromosome. If you do run into a male calico, it is highly likely that this cat is sterile, or unable to reproduce. Out of the 1 in 3,000 calicos that is male, only 1 in 1,000 of those is actually virile. Breeders still tend to shy away from these fertile male calicos, as there are potential health issues that can arise in their offspring due to the extra chromosome. So the next time you meet a calico, ask what HER name is. And if it’s an all orange cat? Chances are he’s male. Have you ever met a male calico, the unicorn of cats? Let us know in the comments!